A man accused of killing a Welsh couple in South Africa has told a court he confessed because of a "promise" made to him by the investigating officer. Roger and Christine Solik's hands and legs were tied and they had pillow cases over their heads when they were thrown off a bridge into a river. They had emigrated from Abercynon, in Rhondda Cynon Taff, in the 1980s. 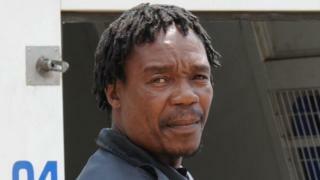 Thulani Moses Mthembu, 43, denies the February 2017 murders and is on trial at Pietermaritzburg High Court. The Soliks were found after being attacked at their home in the KwaZulu-Natal area - about 100 miles (160km) from Durban - on 17 February . Mr Mthembu is charged with kidnapping, robbery with aggravating circumstances and murder. His lawyer, Zwela Khumalo, said the defendant alleges his constitutional rights were never explained to him when he was arrested. "You told [Mthembu] that if he co-operated and gave a statement, that will be taken into consideration at his trial," Mr Khumalo suggested to investigator, warrant officer Skhumbuzo Mdunge, who replied that was "false". Mr Khumalo said the officer allegedly used a Zulu phrase that translated as "I will look out for you", but he said this never happened. Mr Mdunge testified that on the night of his arrest, the defendant had said he wanted to tell him something about the offences. The next day it was arranged for him to make statements before a commissioned officer and a magistrate. A few days later, the defendant asked to see him and said he was prepared to do a pointing out at the crime scene. This was then arranged. Mr Mdunge said he was not aware that when Mr Mthembu appeared before the magistrate (prior to the pointing out) he had asked for legal representation.